Need help finding a local trade or service? We're here to help! We’ve teamed up with Checkatrade to help you find local tradesmen near you. 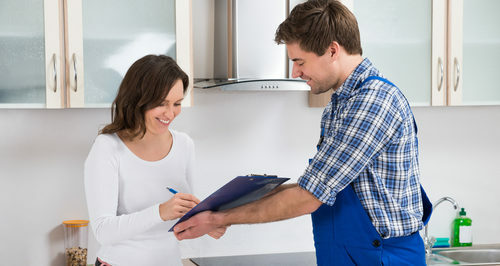 So whether you need to find a builder, a plumber, a handyman for home repairs, or a firm to help with bigger home improvement projects, you’re in the right place. Last year over 12 million people trusted Checkatrade to help them find a reputable tradesperson. Helping you find the right trade or service with Checkatrade. Search Checkatrade’s over 30,000 recommended, vetted and monitored trades and service providers for free. Background checked – Checkatrade runs strict background checks on tradespeople before they can become members. Once tradespeople join, members agree to have feedback from their customers put online. Members also promise to meet ‘The Checkatrade Standard’. Millions of reviews – Their members give out a feedback card with each and every job, and those reviews are put online for all to see. There are around 4.2 million live reviews. Free to use – Checkatrade is a free service, and you can see the tradesperson’s contact information straight away. Nationwide – Search for tradespeople near you from across the UK; Checkatrade have full national coverage. Write a brief specifying work to be done, requesting a breakdown of labour costs, whether they will supply materials/ the cost of materials (ie paint, light fixtures etc. ), any additional costs (such as scaffolding) and whether VAT is included in the quote. They should also give you an idea of how long the project will take. Get 3 written quotes so you can compare price and service. Check whether the tradesperson is registered with a trade body. Ask for references and speak to previous clients or visit previous completed jobs for bigger projects. Check they can provide any necessary certificates for works. For certain types of work – for example, electrical, plumbing, gas, replacing windows and structural building works – you need to get a safety certificate or building regulations compliance certificate from your local authority.